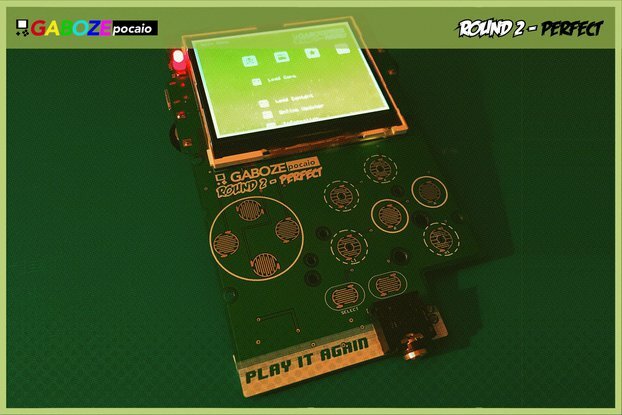 Which Raspberry Pi do you want to use this with? SORRY! NO SHIPPING INSIDE THE EU FROM TINDIE.COM - But you can find all my work and other things at https://hackerspaceshop.com as well and we ship worldwide from that store. With this little board it's easy to control the WS2801 Led strips and various pixel products directly from your Raspberry Pi. It is designed with XBMC support in mind so you can use the WS2801 products to illuminaate the back of your TV screen to create an Ambilight (tm) like effect. The included Infrared Remote control can be used to control XBMC from your couch, play videos and enable/disable the Ambilight effects. Of course you can also control the pixels directly from Python or any other language of your choice. 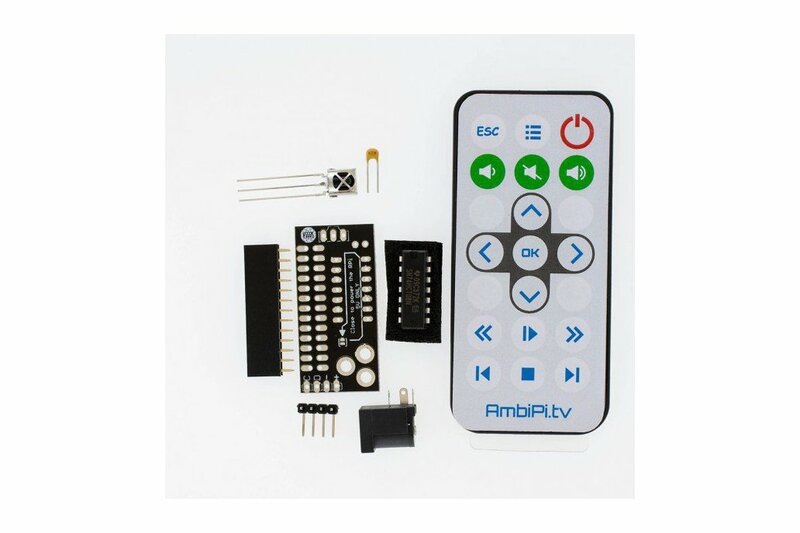 The AmbiPi.tv Kit contains everything you need to connect a WS2801 LED strip or 12mm Pixel modules to a Raspberry Pi using the onboard SPI interface of the RaspberryPi. 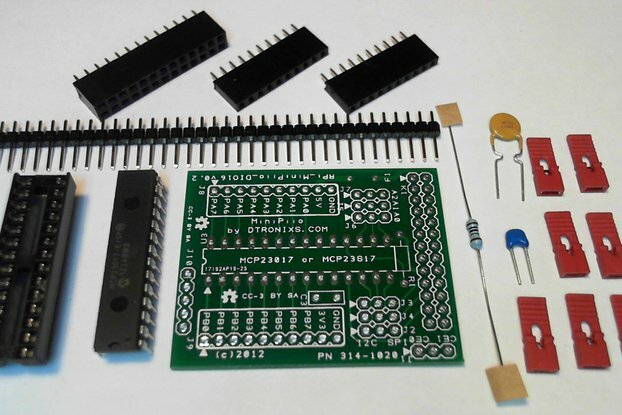 It provides the required 3.3V (on the Raspberry Pi side) to 5V (on the LED strips side) level conversion for the SPI pins (CLOCK and DATA) and also contains a power jack for connecting the 5V power you need for the LEDs. This board will work with any WS2801 based product at any Voltage that the product needs (5V,12V). 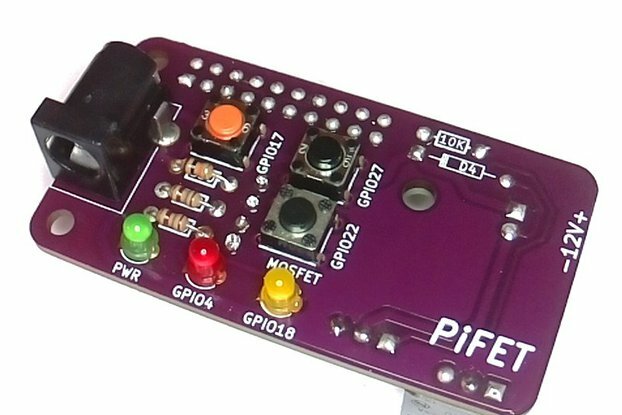 Clarification: You can use this board with a 12V pixel setup or a 5V ledstrip. Using a 12V powersupply on a 5V product will break your product of course. 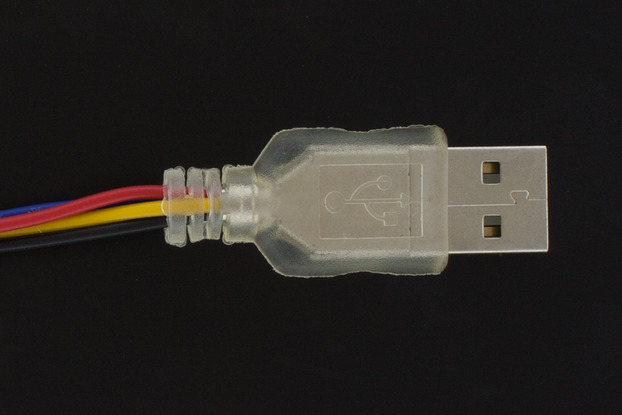 We also got the standard JST 4-pin connectors used for most WS2801 strips and pixels. Please add them from the options drop down if you need one. 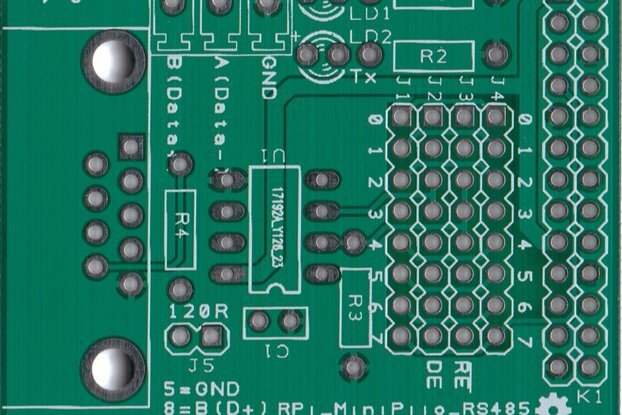 If you select "full assembly" from below the PCB will be fully assembled but we will NOT solder the JST connector. That is because there is no standardized pinout and there are so many ledstrip and pixel vendors these days.